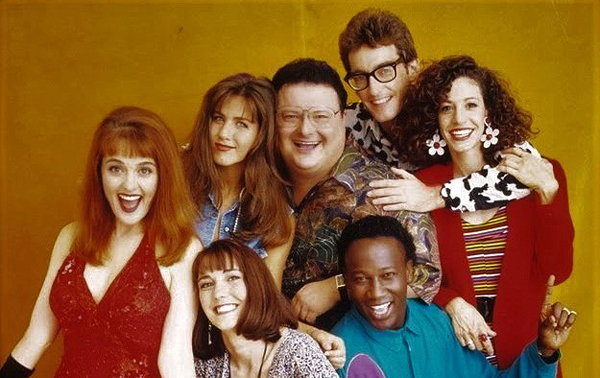 Julie Brown, Jennifer Aniston, Tom Kenny and Wayne Knight all starred in "The Edge," the most violent sketch comedy show ever made, in which every episode opens with the whole cast getting killed. This topical, raunchy, bloody, juvenile, and just plain weird sketch comedy show only lasted one season, but that was enough for the showrunners to almost get sued by Aaron Spelling for their vicious parody of "Beverly Hills 90210!" It's a heck of a show to pull out of a pop culture vote, but was "The Edge" really... CANCELED TOO SOON? William Bibbiani and Witney Seibold explore every episode of this fascinating but forgotten series and reveal which gags are still funny and which gags are completely tasteless now!